We invite you to join Thermo Scientific and Nanoscience Instruments on Thursday, April 25th for a free seminar to learn how tying together benchtop SEM and XRD can improve characterization and development of new and innovative materials. Come and learn at our seminar and see live instrument demonstrations featuring the Phenom benchtop SEM and the Thermo Scientific ARL EQUINOX 100 benchtop X-ray Diffractometer. 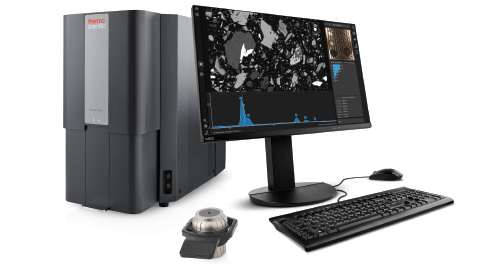 As the physical and chemical properties of the material surfaces play an important role in many applications, the Phenom desktop scanning electron microscopes focus on surface- and interface-related processes and their investigation. SEM has proven to be a reliable tool for observing and analyzing surfaces, compounds and particles. It can be used for quality insurance during production to element analysis of compounds after processing and even to the analysis of particle shapes. 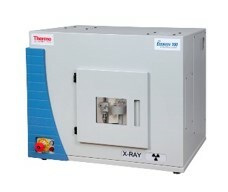 X-ray diffraction (XRD) is a key analytical technique for studying advanced and innovative materials characterization and development. Typical property investigations can be any of the following: identification and quantification of phases, determination of the degree of crystallinity in phases, crystallographic structure, crystal orientation and texture, residual stress analysis, thin film thickness and properties, pore sizes, or dynamic in situ reaction studies. Please contact us at events@nanoscience.com with any questions. In the form below, please kindly provide the names and email addresses of other colleagues who might be attending with you.